Dr. Pim Valkenberg joined the Rumi Forum to speak on his recent book Renewing Islam by Service: A Christian View of Fethullah Gulen and the Hizmet Movement. The talk will be moderated by Dr. Paul Heck. Renewing Islam by Service offers a theological account of the contemporary Turkish faith-based service movement started by Fethullah Gülen, and placed against the backdrop of changes in modern Turkish society. The life and works of Gülen are analyzed against the background of developments in Turkish society, and of spiritual Islamic tendencies in the transition from the Ottoman empire to the secular republic. Pim Valkenberg includes stories of his personal experiences with supporters of this movement, in a number of different countries, and analyzes the spiritual practices and the faith-based service of this movement that is also compared to some important Christian religious movements. Durin this Luncheon Speaker Series, Dr. Paul Heck introduced Dr. Pim Valkenberg to discuss his book, published in the summer of 2015. Dr. Pim Valkenberg is currently a professor of religion and culture at the Catholic University of America, and a distinguished scholar in dogmatic theology, theology of religions, and Christian-Muslim relations. 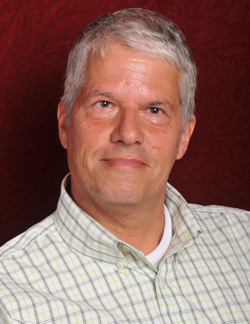 Dr. Valkenberg has held several academic positions in the Netherlands and the United States, and has been a visiting scholar at several universities. He has authored numerous publications, many of which focus on religious dialogue. Renewing Islam by Service, his most recent book, which raises many issues relevant to today’s political and religious climate, endeavors to deepen our understanding of the Hizmet movement from a theological perspective. Dr. Paul Heck opened the discussion by inviting Dr. Valkenberg to discuss why he chose to write about the Hizmet movement, and why he chose the particular approaches found in the book. Dr. Valkenberg’s replied that his interest in Fethullah Gulen and the Hizmet movement began after his relationship with the Islam and Dialogue Foundation in the Netherlands, shortly after September 11, 2001. While preparing a colloquium on God and violence with the Dialogue Foundation, he encountered a quote that discussed the relationship between loving affection and detesting hate, and connected that relationship with the notion of personal religiosity. This line of thought carried a heavy significance; in a flurry of post 9/11 debate, many would argue that religion is the cause of violence. Conversely, others argued that religion had nothing to do with violence. Dr. Valkenberg feels that both of these rather polarized points are shortsighted. What interested him so deeply in the quote was the existence of duality; that religion contains both like and dislike. After researching and grappling with the idea of detesting hate, he found this concept in the works of Fethullah Gulen. Fethullah Gulen was one of the few scholars who wrote of the idea of detesting hate in specifically religious terms. After this discovery, Dr. Valkenberg became interested in the religious language that structures this theme. From a theological perspective, he endeavored to understand what motivates Muslims who are participating in service, or simply “doing good things”? What motivated the person who inspired these individuals? These questions spurred his interest in the Hizmet movement. In regards to what makes his approach unique, Dr. Valkenberg emphasizes two main points. From his research, he gathered that most of the scholarship on the Hizmet movement speaks from a social scientific perspective, examining the form of the movement, its relationship to teaching, and how it functions as a network. Therefore, Dr. Valkenberg’s first point of difference lies in his examination of the Hizmet movement as a theologian. Rather than examining how the movement operates, he was interested in the narratives that explain the “why” of the movement and what people say about it. What were, and are, Fethullah Gulen’s motivations? What is his own relationship to the sources of his faith from which he is driven to inspire people? These are the questions that Dr. Valkenberg examines from a theological standpoint in his book. Secondly, after connecting with Rumi Forum to expand upon the Hizmet relationships he built in the Netherlands, was able to travel to Izmir to interview early students of the Hizmet movement. Using these interviews, and his research on Fethullah Gulen, Dr. Valkenberg was able to deal in his research with interpretation of the Quran and how it relates to the movement. In doing so, he had two main areas of focus: the idea of working for God’s pleasure, and the examination of what holds together members of the Hizmet movement and where they get their motivation. He found that examining the Hizmet movement using the concept of working for God’s pleasure expanded his understanding of the movement, functioning as an ‘interpretive key’ that tied together the goals of the movement. Dr. Valkenberg was also deeply interested in Fethullah Gulen’s sermons, which added greatly to his influence. In conclusion, Dr. Valkenberg shared with the audience some information on the final chapter of his book. This final chapter is comparative; it offers a more explicit analysis of Fethullah Gulen and Hizmet from the point of view of a Christian theologian, and identifies the common threads between Islam and Christianity with respect to service movements. Overall, Dr. Valkenberg notes that Fethullah Gulen possesses a unique perspective. He is acutely aware of the needs of people, and translates that awareness into his practice of religion, incorporating it into his sense of religious duty. This perspective, the professor notes, spurred his usage of the concept of renewal in the title of his book. The concept that people are in need, and that God created humans such that they cannot simply be blind or cold to the needs of others, so significant to the Hizmet movement, is found in Christian traditions as well. Finding meaningful linkages such as these between the two religions allowed him to reflect more deeply upon his own faith and to expand his knowledge of the Hizmet movement. 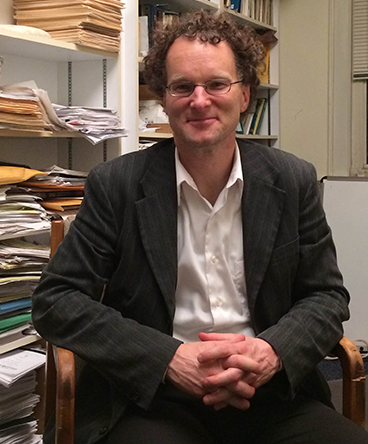 Paul L. Heck is Associate Professor of Islamic Studies in Georgetown University’s Department of Theology. He received his Ph.D. from the University of Chicago and is founding director of The Study of Religions across Civilizations (SORAC). His scholarly interests focus on the history of skepticism in Islam, mysticism and the role of spirituality in Muslim society, views on martyrdom in the three monotheist traditions, the phenomenon of theo-humanism, the emergent field of comparative scripture, and issues in political theology. Some of these themes were treated in Common Ground: Islam, Christianity and Religious Pluralism (2009). His most recent monograph is Skepticism in Classical Islam: Moments of Confusion (2013). His work overall, looking at three faith traditions through a single if refracted lens, seeks to bring sharper insight to our knowledge of the phenomenon of beliefs and their role in scholarly circles and society in general.